Trying out a few new ideas on another Raspberry Pi / USB keyboard / USB joystick case mod.This is an Atari 65XE, the replacement for the good old 800XL, with the styling that led to the ST. 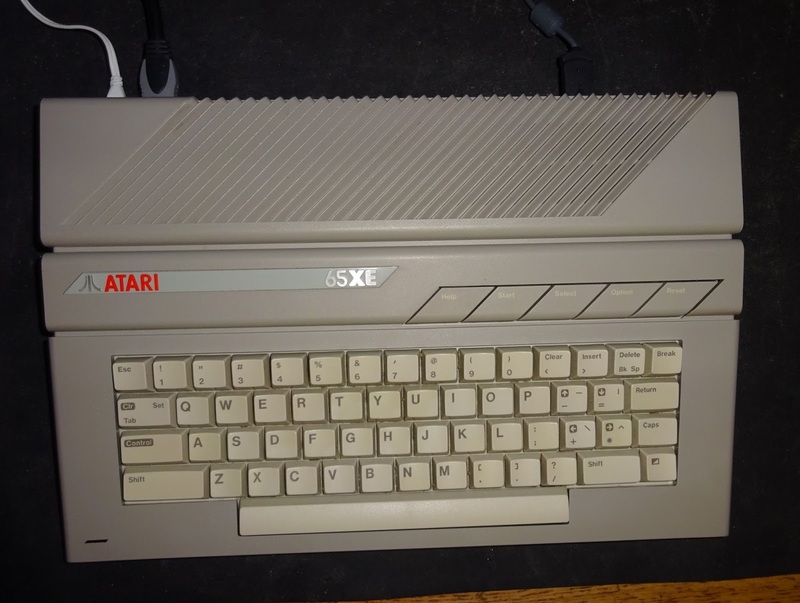 This is quite a nice case but unfortunately has one of the pegs on the cartridge port has snapped with mean cartridges do not fit properly. There is also a memory fault and some of the keys aren't working, so I'll put the board aside to repair later. I started with the cartridge port and removed the other side and sanded both smooth. 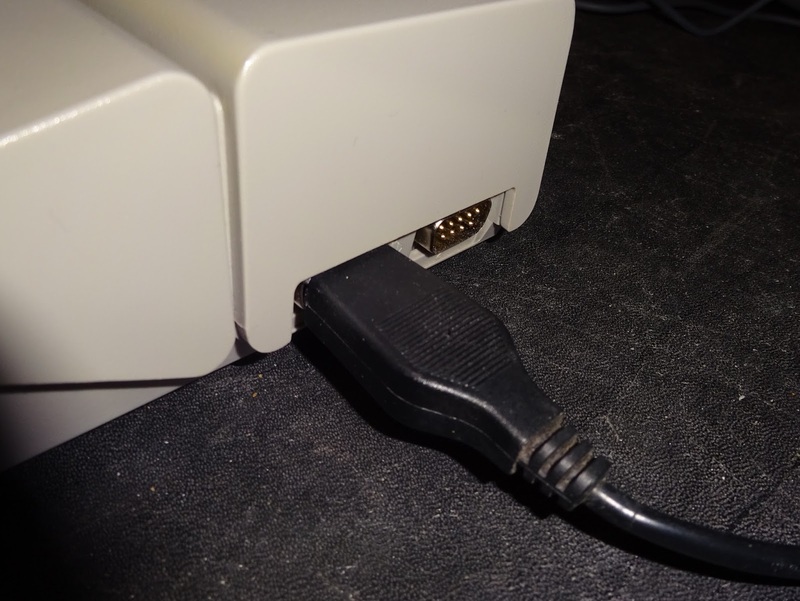 No particular reason, just like things to look tidy. Next came the question of what to fit where. 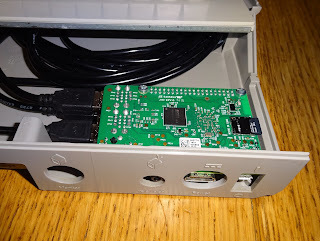 I knew I needed to fit in a Raspberry Pi 3, with access to power and HDMI, a USB hub, a USB keyboard controller and a dual USB joystick board. 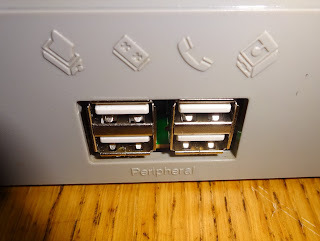 The Pi worked out quite well, I found it fitted through three existing holes, if mounted upside down. 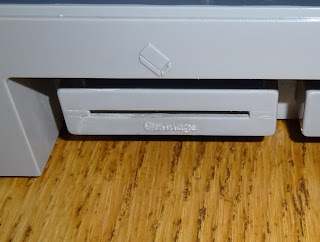 This also give easy access to the microSD card when the cover was removed. 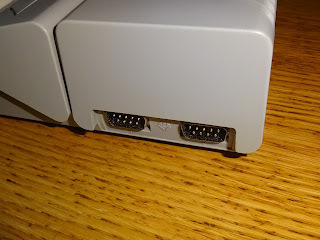 I had to extend the round power connector into an oval to fit the HDMI connector, but the others lined up. I've found on Atari computers before that the SIO connector cutout is the ideal size for a 4 port USB hub, so I fitted one there. 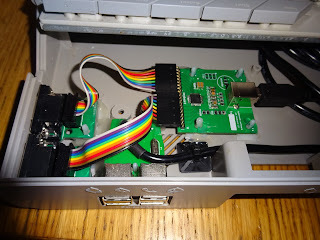 That limited the options for the joystick though, I do have a dual USB joystick PCB which would fit the two joystick port cutouts, but it would clash with the USB hub board. 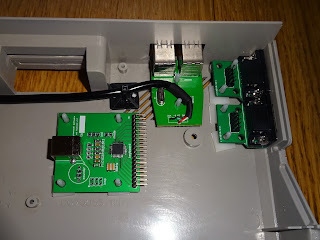 I did consider fitting the USB hub board upside down, it would then have fitted, but the USB joystick board would have clashed with the case mounting pillar. 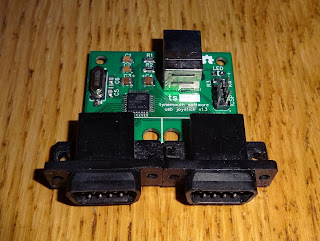 Another option, I considered was the new version of my USB joystick adapter board. 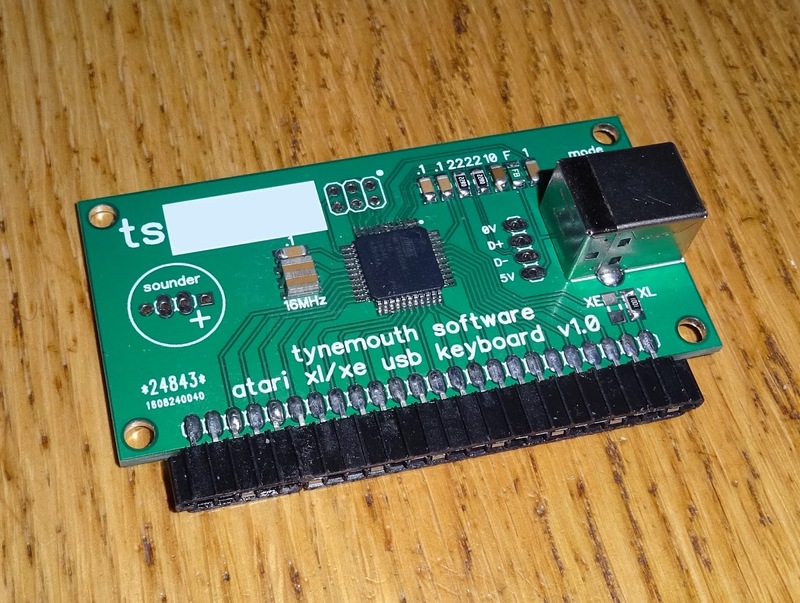 I upgraded the processor in this to give some analogue inputs for paddles etc. 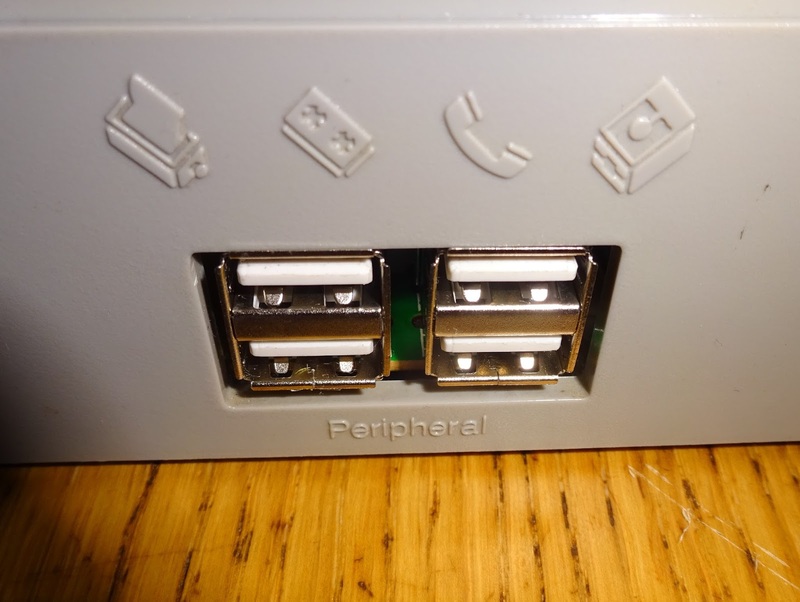 There were sufficient spare pins so I designed it so it could be used as a dual USB joystick with a detachable second port. 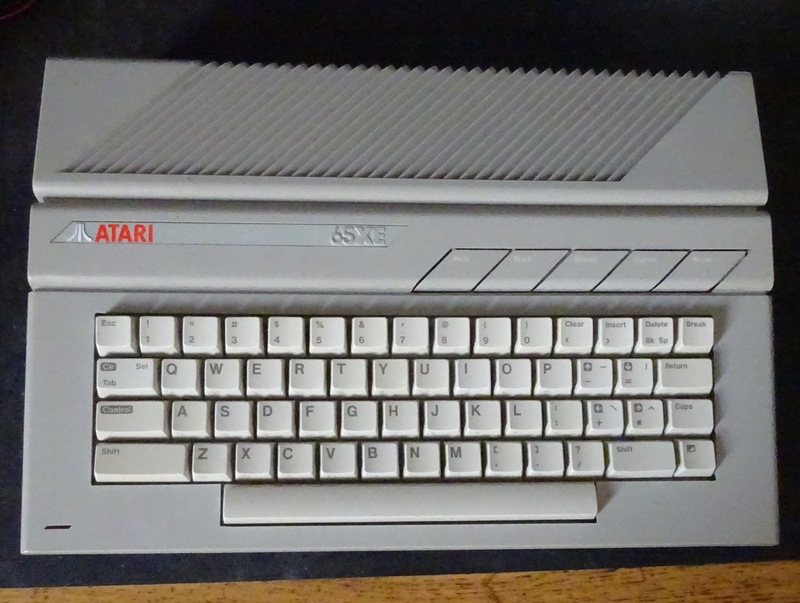 Useful for things like the Atari 800XL where the spacing is different. This also would clash with the USB hub, so back to the drawing board. I ended up using two of the extension boards from this and a USB keyboard controller board to make a dual USB joystick. Those boards all now fitted in the case without blocking each other or the mounting holes. 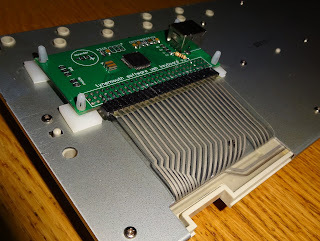 As usual, I'll add a load of hotmelt glue to hold those firmly in place. 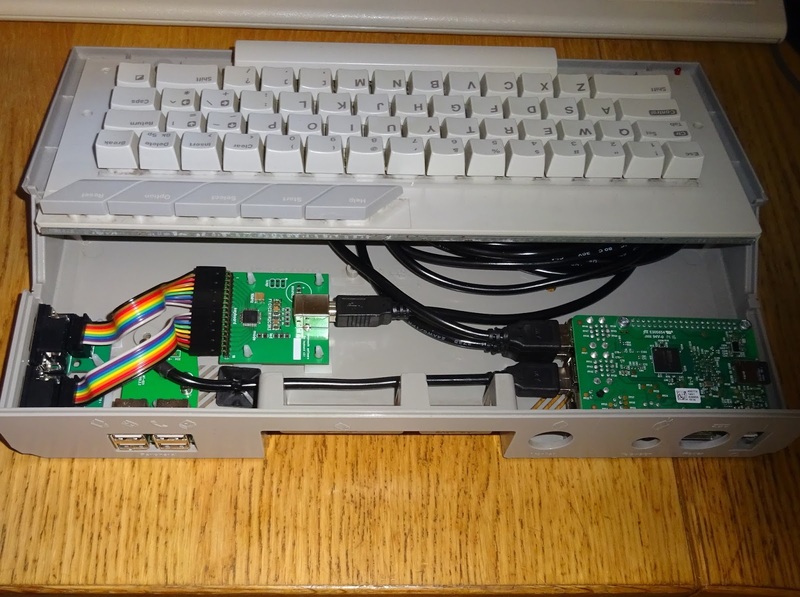 The final piece was the USB keyboard controller. 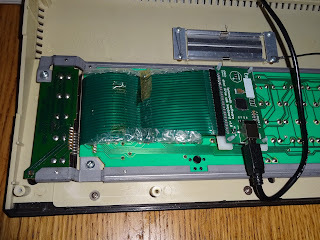 That fits under the keyboard as the membrane ribbon the the 65XE is quite short, and in this case I had to cut it even shorter as there were a couple of damaged traces on the membrane (which is why some of the keys weren't working when I tried it on a working 65XE board). 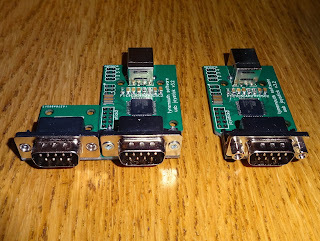 I have been unable to locate a supply of the 24 way 0.1" membrane connector, so I have to make these by cutting down two shorter ones and joining them. 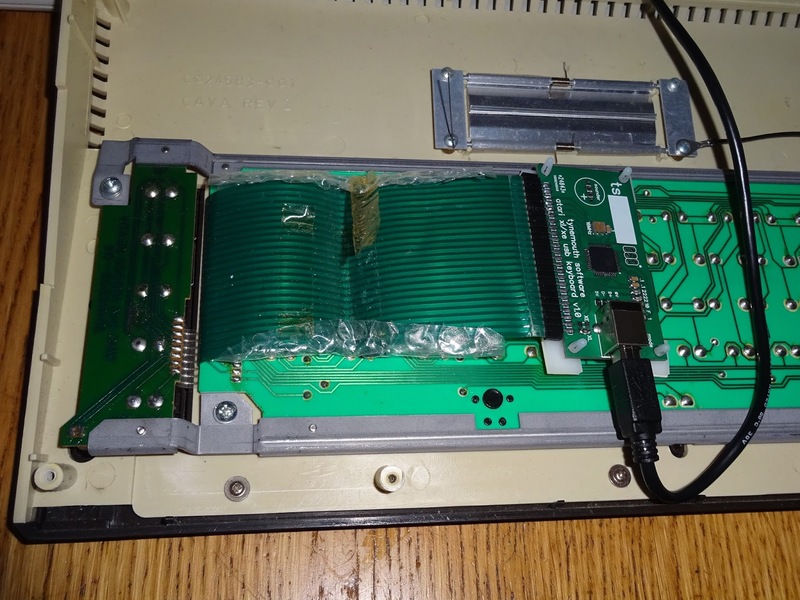 The additional resistor is for the power LED on the front of the keyboard. 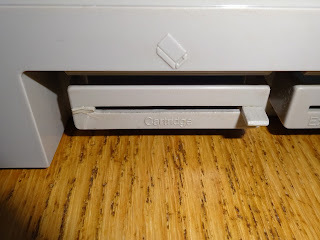 This sits on the back of the keyboard, the placement is important, to avoid a support pillar half way up on the bottom of the case which can clash with the USB connector. 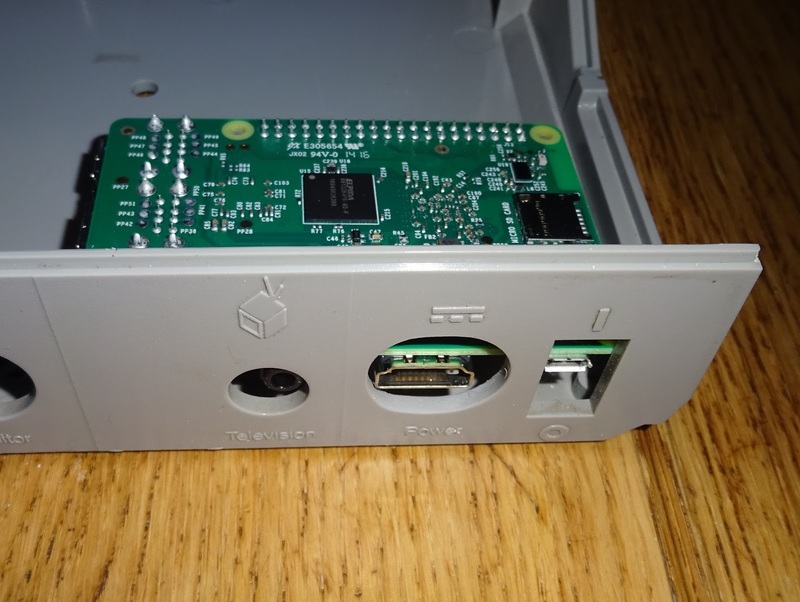 Everything fits together, so time to bolt in the Raspberry Pi 3. 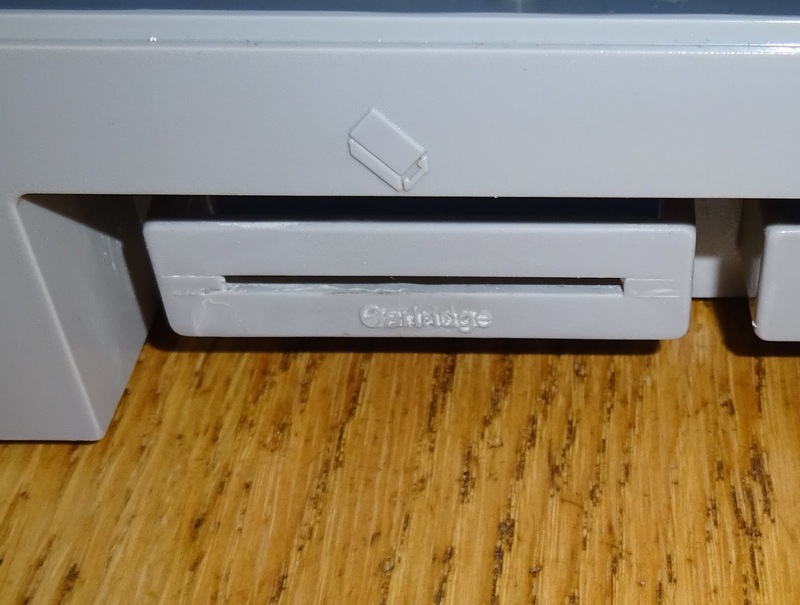 This covers one of the mounting holes, so I had to cut off the post that sticks down from the top of the case. 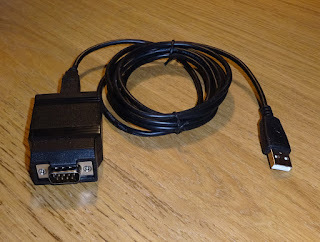 The three USB cables plug into Pi, leaving one free port available. I've not wired up the LAN jack as the Pi 3 has built in Wi Fi. There is still space for the mounting pillar at the other side, between the ribbon cables of the joystick boards. 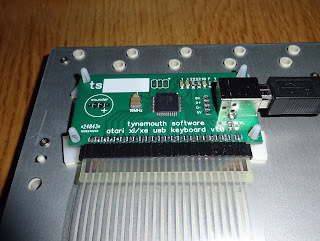 With the lid fitted, time for some testing. Power and HDMI or composite video on the left, USB devices plug in on the right. 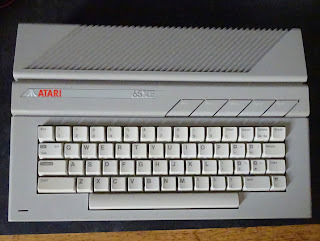 Joysticks plug in at the side, any Atari or Commodore style 9 way D joystick will do, other than the 7800 and the Spectrum +2 / Amstrad. 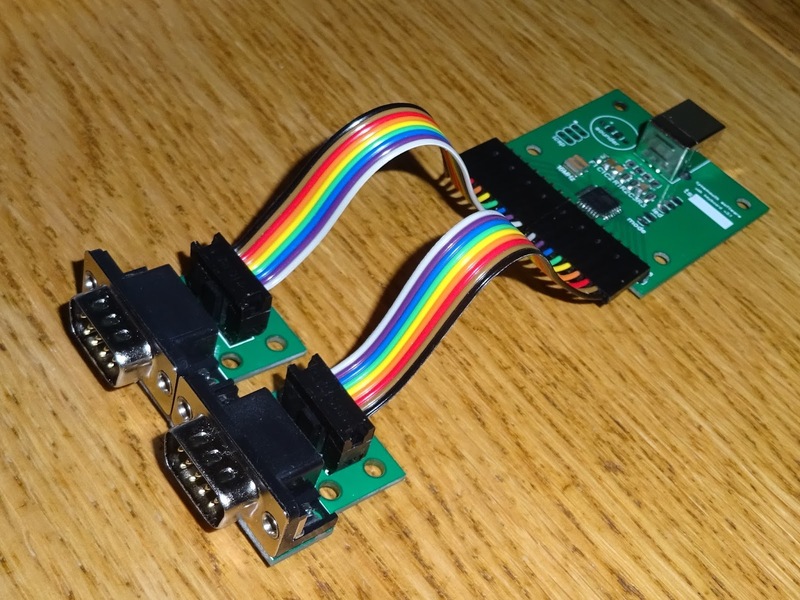 I can modify the firmware to use these if required, let me know when ordering. I supply these with the official Raspberry Pi 3 power supply, 5V @ 2.5A with UK/US/EU plugs. 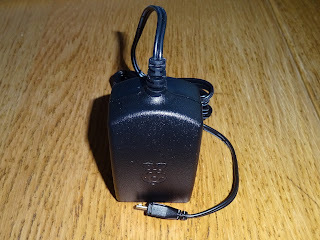 I prefer these as there are still lots of rubbish USB phone chargers and under rated microUSB cables around, so I know these work well with the Pi 3. 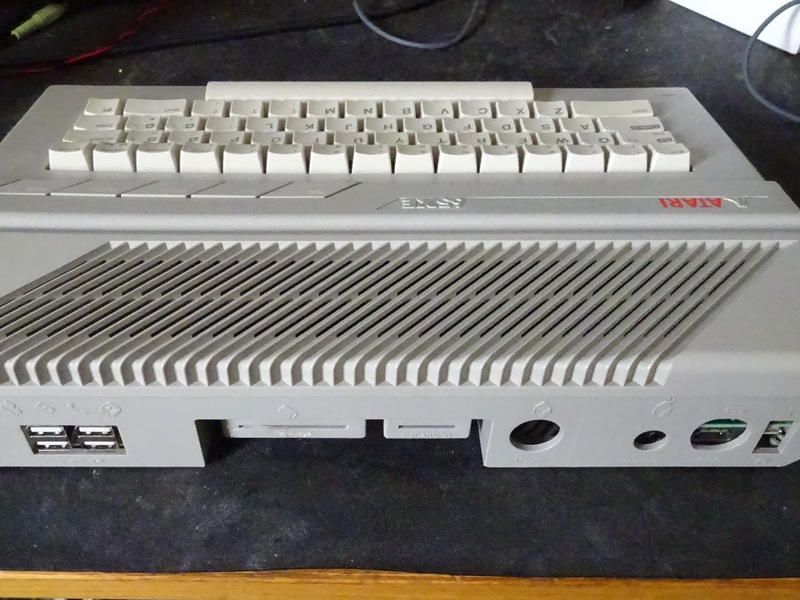 The Atari 65XE USB keyboard with and without Pi and with and without joysticks ports can be found on my Etsy Store. 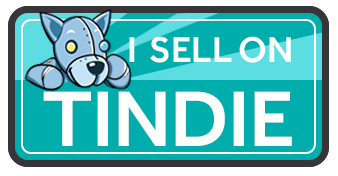 If you are interested in another configuration or another computer, contact me. I have designed a board specially for the Atari XL/XE USB keyboards, these can be purchased below. 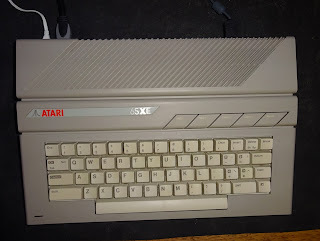 The XL version only works with certain XL keyboards, as they pinout changed over time. This is suitable for ones with green membrane tails, please contact me before ordering the XL option to check your pinout. 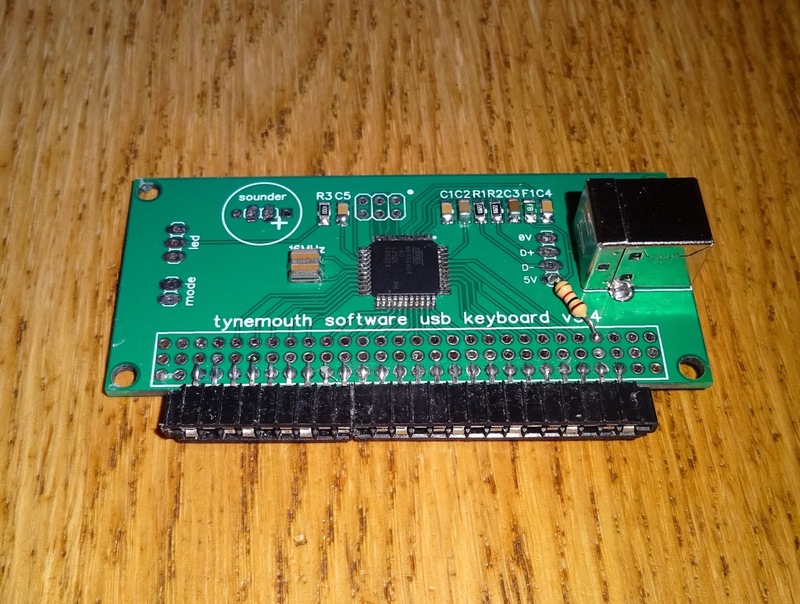 These are also available as a kit with the USB keyboard controller and the dual USB joystick board. The XE version comes with the joystick connectors on ribbon cables, as used in the build, the XL version has the dual board with the second port on ribbon cable.